We can tell you the price of a degree - but that's not the same as its value. You really can't put a price on turning your dream into reality. If you are an eligible full-time undergraduate student from the UK or EU you can apply for a tuition fee loan to cover the full cost of your fees each year. The tuition fee loan is repayable - but not until you’ve left university and your income is over £25,000 a year. Pay back your student loan (tuition and maintenance) when you are earning over £25,000 a year. Repayments will be 9% of your income above £25,000, so the amount repaid each month depends on how much you earn. If you are a social work student you can apply for all of the funding listed above in the same way as other students, however you may also be entitled to a social work bursary from the NHS in Year 2 and Year 3 of the BA (Hons) Social Work. We are waiting for government confirmation about the bursary for 2019-20. 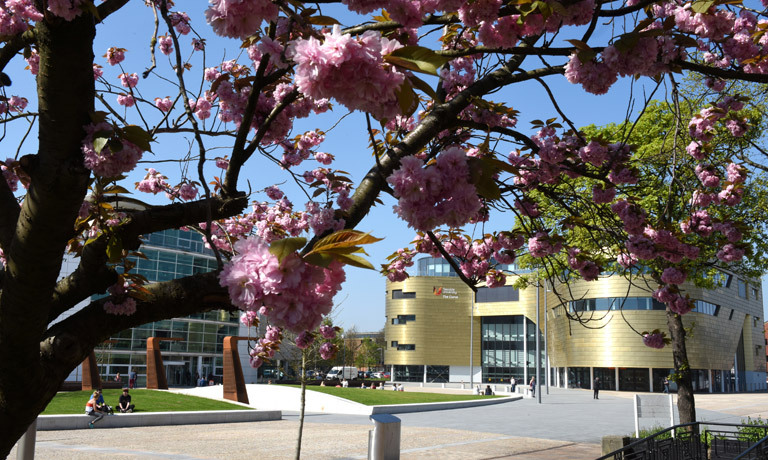 Teesside University provides a care leavers' bursary of £1,000 a year for those students who come to us from a care background. Find out more from Student Finance (contact details below). This course does not attract any funding from the Student Loans Company as it doesn't meet their eligibility criteria. This means that you won't be able to obtain a tuition fee loan to cover the fees and should be prepared to self-fund this course. Eligible part-time students can apply for a tuition fee loan to cover the cost of their course. You may also be entitled to receive a maintenance loan to help towards your living costs. All eligible students receive the tuition fee loan but your entitlement to the maintenance loan depends on a number of factors including the level of course and household income. Both the loans are repayable but repayments only start if you are earning over £25,000 in the April four years after the start of your course or the April after you leave your course, whichever comes first. Employers may be able to pay part or all of your fees up front if you ask them. You get to study for a qualification that will improve your ability to do your job and advance your career, and your employer benefits from a better-qualified, more productive and motivated employee. If you hold at least an honours degree or higher level higher education qualification and start a part-time honours degree course in science, technology, engineering or maths you may qualify for a part-time fee loan for a new course. Please contact a student adviser in Student and Library Services for advice about which courses qualify for part-time funding in these circumstances. If you have attended a higher education course before, this can have an impact on the funding you get for any course you want to do in the future. Please contact a student adviser in Student and Library Services for advice about your edibility before starting a course. You may also be eligible for other forms of support that don't have to be paid back.